Stavanger and Sandnes have over 200,00 inhabitants and can offer around 10,000 conference chairs. 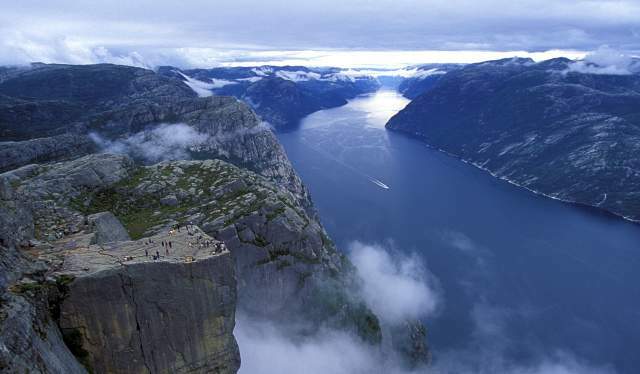 The region is situated within easy reach of the extraordinary cliff Preikestolen (the Pulpit Rock). It is also the centre of the Norwegian oil, gas and energy industry. The landscape stretches from the flat Jæren area by the sea to the mountains in the east. Fjords and islands provide a dramatic backdrop and the local population use the neighbouring areas for leisure and recreation. The surrounding natural sights are within easy reach, providing many opportunities for fun excursions in between business meetings. One of the most famous natural attractions in the region, or indeed in the world, is the impressive cliff Preikestolen (the Pulpit Rock), which towers 604 metres over the Lysefjord. Top off a successful business meeting with a cruise along the fjord, or venture up to the top as a team building exercise. In 2008, Stavanger was the European Capital of Culture. The cultural vision of the Stavanger municipality is that the region is to be international and attractive culturally, pulsating with offers and activities. An increasingly important part og the Stavanger region identity is food culture. Stavanger's new concert hall opened in 2012. It boasts one of the most attractive music stages in Europe with an audience capacity of 3,000. In 1969 the first oil field was discovered at Ekofisk, south in the North Sea, which made the Stavanger Region a key player in the Norwegian economy. Today Stavanger is Europe's oil and energy capital, and the main source of income for local people comes from working in the petroleum sector. Stavanger is a university city, and home to a number of institutions of higher education and research such as the International Research Institute of Stavanger. The city is also home to the Norwegian Petroleum Directorate, the Petroleum Safety Authority of Norway as well as the headquarters of energy giant Statoil. If you prefer to take the train, the line from Oslo to Stavanger is a wonderful, scenic eight-hour journey. Contact NSB (the Norwegian State Railways) for timetables and booking. Nor-Way Bussekpress has several daily departures from Bergen, Oslo and Kristiansand to Stavanger. The approximate travel time is five hours from Bergen, four hours from Kristiansand and ten hours from Oslo. There are also good connections by bus to and from Haugesund. The express boats Flaggruten go between Stavanger and Bergen twice a day. The approximate travel time is four and a half hours. Other ferry companies that operate in Stavanger are Color Line and Fjordline. It is easy to reach the Stavanger Region by car. The following roads lead to the region: the North Sea Road, highway E39, the scenic Suleskarvegen and the Fjord Road. Stavanger is only two hours from London and 90 minutes from Copenhagen. Stavanger Airport Sola is served by direct flights from major European cities such as London, Copenhagen, Amsterdam, Aberdeen, Prague and Berlin. 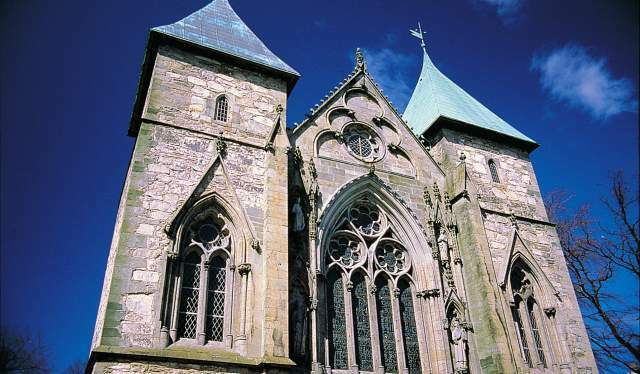 A shuttle bus takes you to and from the airport and the town centre of Stavanger. It departs every 20 minutes and travel time is approximately half an hour. There are also car rental companies at the airport if you prefer to drive. Stavanger has over 127,500 inhabitants. Stavanger Airport Sola is a 15-minute drive from the city centre. There are more than 3,000 hotel rooms within 15 minutes from the city centre. The largest conference hall has a capacity of 1,700, with 30,000 square metres of exhibition space. Stavanger has unique natural surroundings and breathtaking experiences. The climate in the Stavanger Region is the mildest in Norway.